Hey there! 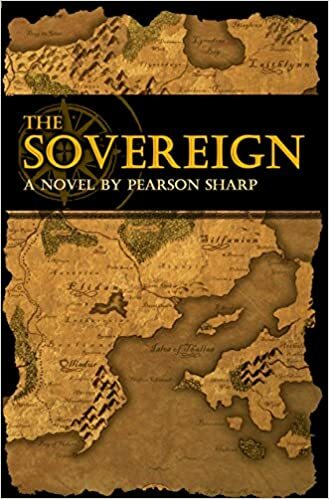 So I’m a writer, doing my writer thing, living the California dream, and writing the followup trilogy to my first novel, The Sovereign. I’ve got the travel bug, and have traveled to 37 countries so far, and just got back from a trip to Ukraine where I fulfilled a lifelong dream of visiting Chernobyl. I moved to San Diego in 2011 and have been getting a feel for this city, which is pretty different from where I grew up in Ohio. I finished my first novel in March of last year, and it’s now available on Amazon. Now the trick is to do the thing twice. When I’m not writing, I’m reporting for a national television station here in town. It’s something I never imagined doing, but it’s heaps of fun, and is giving me all sorts of opportunities to explore creative new outlets, and expand my writing repertoire with short, punchy, journalistic-styled prose. And when I’m not doing that, I’m probably out snorkeling or taking pictures. There’s a lot to be said for living in a land of perpetual summer. Follow me on Twitter @PearsonSharp, check out my photography on my Instagram page @pearsonsharp or my author’s page on Facebook right here, or on Amazon here, or feel free to e-mail me at pearson@pearsonsharp.com. whoa! Leslie, you’re the best! Thank you! Nice to meet you Mr. Sharp 🙂 Thank you for stopping by my blog and leaving a comment. Looking forward to exchanging thoughts on stories we could share! Regards! Sir, you have a wonderfully enriching and fulfilling site. I look forward to reading more, and enjoy your style of writing. Hope the book gets out and on the shelves soon! Many thanks to you kind sir, the encouragement is sincerely appreciated. I’d love to have my book out and published as well, you’ll be sure to see any updates when they arrive. Thanks for stopping by! Hi Person, great blog here. i will be coming back. Let me know if you are interested in posting a short or flash fiction piece to my Short Attention Span Press…We would love to see your work there. Nice to hear from you. San Diego is one of the places I once lived, long ago. I spent much of my youth traveling the country and playing music, and I think it’s a great inspiration for a writer. I don’t have much time to follow many blogs, but I’ll be following yours. Wow! We have nearly parallel experiences. I graduated and went to teach English in China. I think I probably would have preferred Japan. I think I probably would have preferred the bubonic plague, honestly, but that’s another story lol. But yeah, came back to the west coast and am trying to get my novel published! Good for you, I always wish kindred spirits the best of luck, it’s nice to think that I’m not toiling alone out here lol. You live in the city that hosts Comic-Con? Maddie set me over to say hello … HI in San Diego from Cincinnati (it’s cold here). Nice to hear about another writer navigating the publishing world. best of luck. You sound really focused on your writing goals, and I think it’s great that you are not thinking too much about the publishing world, but choosing to keep your eye closer at hand – on your book. So many of my students (I teach on a few MA courses in the UK) are already panicking about agents when I think: you need to finish your book and make sure it’s the very best you can do before even thinking about the next step. Good luck for the year ahead! I sincerely wish you all the best with our book and hope that you do well with its publication. I admire when people have the courage to live their dream. All the best and God bless. It’s so nice to meet you, Pearson. I have to say that I’m a little envious that you live in San Diego. That’s where I saw Triple Espresso’s hilarious show years ago. I like to listen to ocean sounds when I write, so I’m jealous that you get them live. Just color me pea green with envy. I wish you luck and can’t wait to read about your journey. Please be my mentor (lol). haha it’s not as hard as all that. Just don’t give up, is the only real lesson that matters. Keep pushing through all the garbage they throw at you, and you’ll make it to the top. They can only slow you down, they can’t stop you, only you can do that. So keep writing, keep reading, and the rest is just details. W0W, you do good with words, GOD bless you kid. Catch you on OAN all the time. Love your coverage. Keep up the good work. Thanks Daniel! I really appreciate it, and thanks for stopping by the site. Merry Christmas! There is no honesty nowadays it’s frustrating to see the news and politicians taking control of the country . Like you I love the beauty of our sorounfings. Hey Gloria! Thank you very much. I really appreciate the kind words, and thank you for stopping by my site! It’s very touching to know like-minded folks are out there watching, your support makes all the difference.